... trains go under the traction of the LTE-group. Already for the third time, the company provided passenger transport on this very popular touristic route. 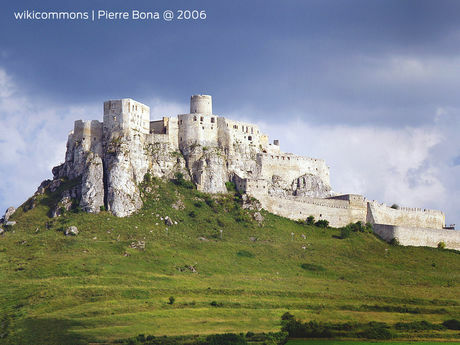 The highlight being Spissky Hrad, the castle that enjoys the greatest popularity amongst hikers and cyclists alike. In the past season, numerous passengers took advantage of this offer, this year there were nearly 2,000 passengers on the trips between early June and late August 2018. This cooperation was carried out, as said between ZSSK trains and LTE Slovakia. Last but not least, the passengers appreciated the impressive price, because for only € 1, - you could enjoy a comfortable trip, breathe the scent of a cultural treasure of the region and at last do little something for your health whilst walking or cycling. In addition, last summer the Association of Railway Friends at the University of Žilina and the Railway Museum Stará Turá in cooperation with LTE Logistik and Transport Slovakia invited to use the special train service between Zvolen and Šahy - the first passenger service on this route for more than 15 years. On August 4th and 5th , this special service was used by the inhabitants of the area and many more guests. Under the motto "Drive with us", a pair of trains was set up in the Zvolen - Šahy section, the "Hontian Express", as well as some special trains in the Zvolen - Hontianske Nemce section, which carried visitors of the "Atmosféra Festiva" in Hontiansky Nemtsy. Traction for the classic cars was provided by LTE Slovakias own 740.883-4 locomotive. Poster for the "Hontiansky Expres"